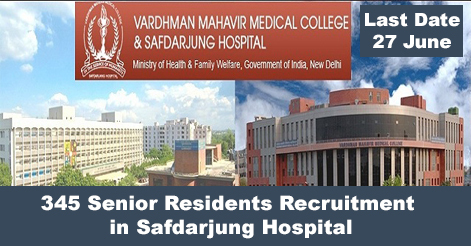 Safdarjung Hospital New Delhi invites all the candidates for the recruitment of Senior Residents on Regular basis for a period of 3 year. Total no of vacancy are 345. The last date of the registration is 27th June 2018. Here are the complete details of the notification. Vacancy Details are given in detailed advertisement below. The Candidate should possess Post Graduate Degree/Diploma (approved by MCI) in the Concerned specialty after M.B.B.S. failing which MBBS with two years’ experience in a Govt. organization out of which one year in the concerned specialty. Eligibility for Haemotology: The candidate should possess MD or equivalent in Medicine or Paediatrics. Candidate with M.D. or equivalent in Pathology will not be eligible. Elgibility for Dental/Maxillofacial Surgery: The candidate should be MDS (recognized by DCI) failing which BDS with two years’ experience in a government organization, out of which, one year in the concerned speciality. Other conditions are same as in the case of other departments. Rs.67700/- in Pay Level-11 in the Pay Matrix as per 7th CPC (Pre-revised PB-3, Rs.15600-39100 + 6600 GP) + Other allowances as admissible as per Govt. of India Rules. For PWD candidate’s upper age limit is relaxable as per Govt. of India Rules. The selection will be made on the basis of consolidated marks obtained in both i.e. 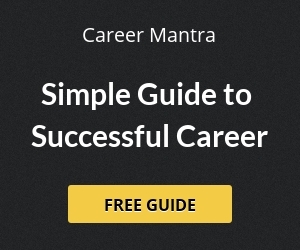 written examination and interview/counselling. Medical registration with DMC, DCI or any State Registration for Dental Surgery only. SC/ ST/OBC Caste certificate in the prescribed format by Govt. of India. Undergraduate and Post graduate attempt certificate. Help us to improve this article/job posting "345 Senior Residents Recruitment in Safdarjung Hospital". We would be glad if you can comment below and provide your valuable suggestions and feedback. If this page have any wrong information/list or out of context content, then you can report us as well.